Suffice it to say, St. Paul, Minnesota is a bit of a wonderland when it comes to activities to do with one’s kids: The Children’s Museum, The Science Museum, The Jackson Street Roundhouse, the Twin Cities Model Railroad Museum, the incomparable Choo Choo Bob’s, and the Minnesota History Center – all are very popular and very regular stops on the circuit. 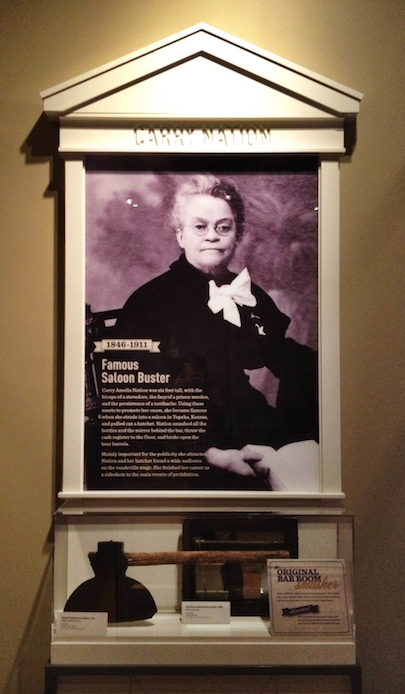 The Minnesota History Center (MHS) is particularly interesting place as it houses not just several wildly creative and fantastically presented, family friendly exhibits, but the headquarters, archive, and research library of the Minnesota Historical Society as well. Most of the exhibits are more or less permanent, but there are special featured exhibits that stick around for a shorter period of time. Currently, the featured exhibit at the MHS is perhaps a little less kid-friendly than the others, but a whole lot more parent-friendly, especially for this particular parent. 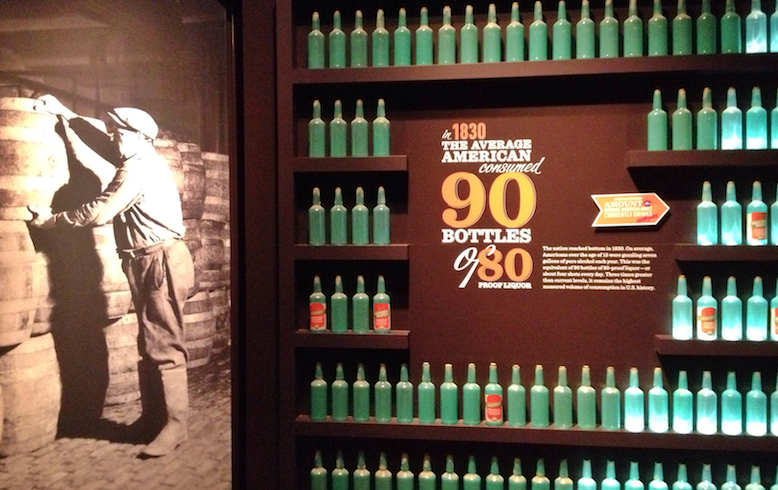 Originally created and debuted by the National Constitution Center in Philadelphia, “American Spirits – The Rise and Fall of Prohibition” tracks, you guessed it, the beginnings of the Temperance movement, its biggest success/debacle – Prohibition – and the best thing to ever happen to the Temperance movement – the repeal of Prohibition. 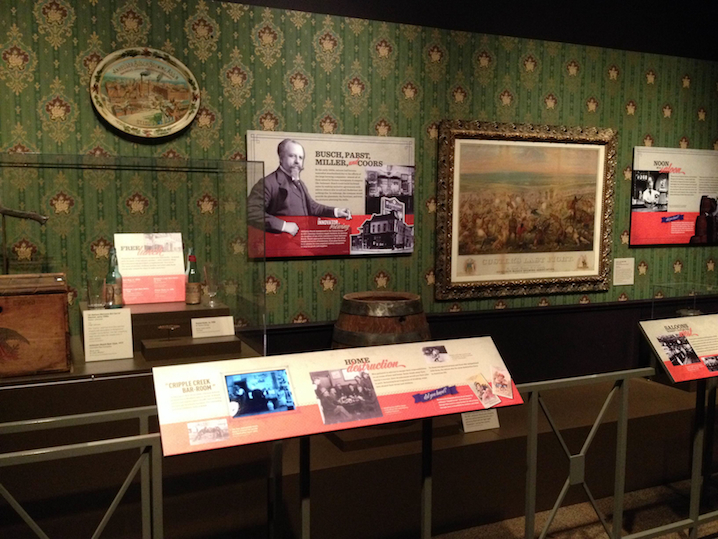 Originally curated by Daniel Okrent, the author of Last Call: The Rise and Fall of Prohibition, the exhibit opened in St. Paul in November of last year and like all at the MHS, is a visual feast that also manages to pack a good amount of information into its creative presentations. 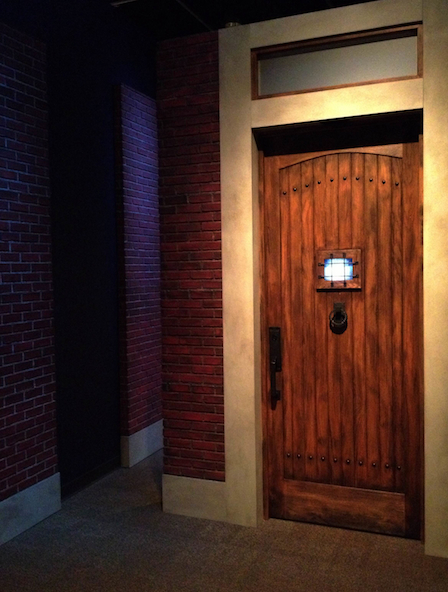 The beginning of the show focuses on the drinking culture before Prohibition and then slides into a detailed look at the Temperance Movement, complete with propaganda posters, Carrie Nation’s axe, and church pews to sit in as you take it all in. There are some startling statistics as to the amount of booze being drunk at the time, alcohol was clearly a problem, and more often than not, a problem for men. The over-the-top torch bearers of religion and morality are of course given their proper due, but the exhibit also emphasizes the role of women who were fighting for the well-being of women and their families by trying to limit the drink that was increasingly dangerous to them. Indeed, the role of women in the Temperance movement was aided by and in turn, aided the simultaneously growing Suffrage Movement. Now that the movement is well underway, the exhibit leads to an absolutely wonderful series of mechanized contraptions which illustrate the clever political path taken by Wayne Wheeler and the Anti-Saloon League to get pro-prohibition candidates in office, and get a properly worded 18th Amendment and the accompanying Volstead Act through Congress. The importance of the recently installed Federal Income Tax is highlighted (a new source of revenue to make up for the potential loss of all the taxes on liquor) as well as the outbreak of World War I which helped in marginalizing German Americans who, thanks to their strong involvement in beer brewing, tended to be staunchly anti-prohibition. There’s a lot of whimsical humor in this series, but a more serious point is made as well, Wheeler and his fellow organizers knew how to play this game, and they played it well. They used every trick in the book to put prohibition in place. Passing through a rather surly speakeasy door brings you into the world of illegal (and legal) booze drinking that existed during that time. A speakeasy, complete with footage of Charleston-ing flappers, has a dance floor showing the popular dance steps of the time, and a bar showing the popular drinks of the time. A homemade still, a couple of interesting bottles of “medicinal” whisky, a physicians ledger of thirsty patients, and a small gathering of hidden flask-type artifacts help show just how easy it was to get a drink in a country that had outlawed drink. Of course, speaking of outlaws, plenty of space is given to this golden age of organized crime, easily the worst consequence of the failed experiment of Prohibition. Luckily, the exhibit manages to keep things somewhat light by giving viewers the chance to chase down rum-runners if you’re feeling righteous, and, if you’re feeling felonious, posing in a line-up with other all-stars like Meyer Lansky, Lucky Luciano, and Alphonse Gabriel Capone. 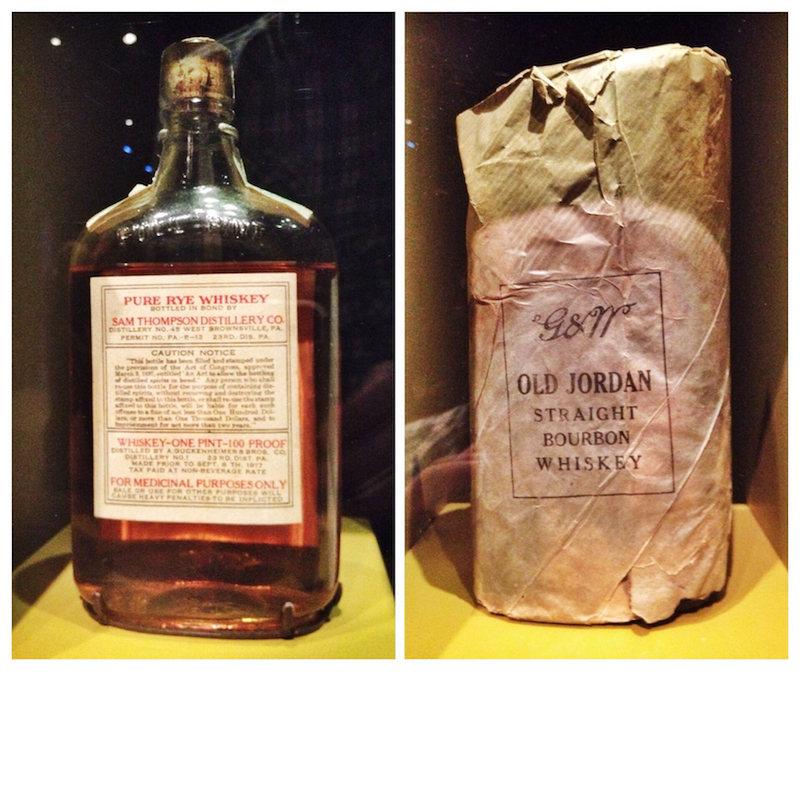 Two Prohibition-era whiskies, a medicinally-labeled Monongahela Rye from the Thompson Distillery Co. c.1920’s, and a Canadian “bourbon” from Gooderham & Worts, c.1930. Obviously, there is a happy ending to this story. By 1933, the ineffectual Volstead Act, the hypocrisy and farcical nature of the ban on booze, not to mention the recognition that liquor sales meant greater tax dollars for communities ravaged by the Great Depression, all pointed to the end of Prohibition. The exhibit gives you a chance to re-live Repeal Day glory in an ersatz movie theater with Roosevelt’s “Happy Days are Here Again” playing as it all comes to an end. “American Spirits: the Rise and Fall of Prohibition” does an excellent job of integrating the complex history, our current romanticized view of it all, and the more unsavory aspects of the time into a captivating, interactive, and impressively creative exhibit that, despite the cliché, really is fun for the whole family. If you’re anywhere near the Twin Cities area, I’d highly recommend visiting. It remains at the Minnesota History Center until March 16 and then will be traveling to St. Louis, Seattle, and Grand Rapids over the course of the next two years.